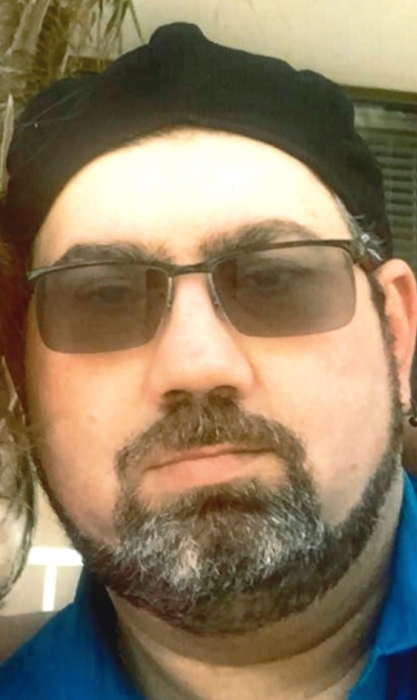 Poland - Demetros Victor Combis, 48, of Poland, died unexpectedly Thursday morning, January 31, 2019 at his residence. Demetros, affectionately known as Demete was born November 8, 1970 in Youngstown, a son of James Combis and Maria Baffoni. Raised in Youngstown Demete moved to Florida in his teens and later returned to the area. A 1989 graduate of Miramar High School in Miami, Demete was an over the road truck driver for numerous trucking companies. In 2018 he established Kivi Trucking Company. Demete was a Pittsburgh Steeler fan, and enjoyed Nascar and wrestling. When in town, Demete centered himself around his family, especially his grandchildren. Besides his mother, Maria (Jack) Tweedell of Ft. Lauderdale, Demete leaves his wife, Wanda Dirienzo-Combis, whom he married December 24, 2015; one son, Anthony Jack Combis of Austintown; two step-daughters, Tara (Nick) Donchess of Struthers, OH, Jennifer (Vince) Donnelly of Niles;, one step-son, Douglas Anthony (Nicole) Sass of Poland, two brothers, John Albert Combis of Youngstown and Jarred Richard Combis of Boardman; three grandchildren, Nikalis Cunningham, Ethan Yuengert and Carina Donnelley; numerous aunts and uncles especially his uncle Victor (Theresa) Baffoni; Godmother Georgia Davis; Godfather, Ron Luthern; one nephew, Timothy Combis; three nieces, Nicole, Samantha, and Olivia Combis; and one brother-in-law, Dino (Julie) Dirienzo of Kensington, OH. In addition to his father, James Combis, Demete was preceded in death by his grandparents, John and Alexander Combis and Albert and Angela Baffoni; and three uncles. A service celebrating his life will be held Wednesday, February 6, 2019 at 7:00 p.m. at the Cunningham-Becker Funeral Home with Father Thomas Constantine officiating. Friends will be received Wednesday, from 5:00 p.m. to 6:45 p.m. prior to the service.